The title of this piece is the question all wine companies should be asking today, because boomers are the dominant cohort across all price points above $14. Can they continue to buy your wine? I've been saying for nearly a decade the anticipated ascendance of millennials as the top cohort was greatly exaggerated as to both timing and impact, but their coronation is coming and the day when boomers no longer dominate consumption is also fast approaching. The chart below is from the slide deck that I'll be presenting Wednesday during the live videocast of the SVB State of the Industry Report. I have to tell you, I am really excited about this year's report because there is added color we will be discussing about varietals and brands that might be a revolutionary thought for winery owners. What we can tell from our research regarding cohorts is while Boomers still dominate all price segments in wine purchasing, Gen X is starting to flex their muscles in the $20 - $29 price points and might surpass boomers as soon as next year! 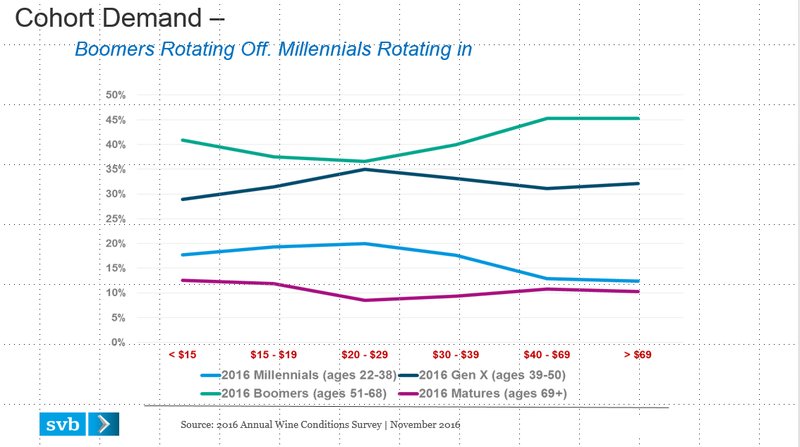 We can also see in the above chart the millennials are starting to move up in their participation in more expensive wine (blue line above $20-$20). Boomers and Gen X still control the upper price segments and that's a problem. Boomers are retiring everyday, about 10,000 per day and by 2022 - just a scant 5 years from now, the median boomer will be 65. Boomers hold the majority of wealth in America. Even with the majority of wealth, how do you think they will behave when they are living on fixed incomes? Exactly - they aren't going to spend as they have. Will millennials replace their purchasing power? Not a chance. So what does that mean for wineries? In the next decade we will see a pretty large change consumer purchasing power. Consumers continue to premiumize - they all know what 'good' means and want good wine but pricing increases will become increasingly difficult. 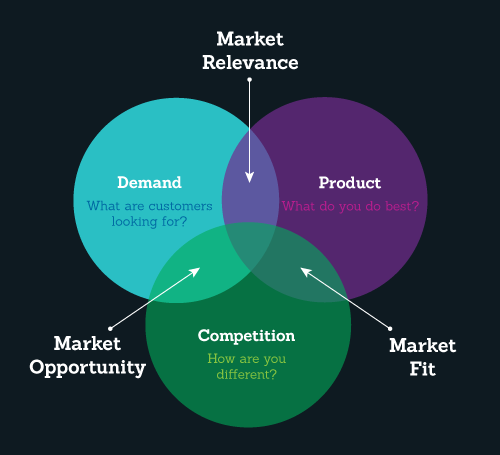 As a winery owner, what are you going to do to change and address the coming market? We'll tackle some of this thread in our live videocast Wednesday concurrent with the report's release. It's going to be a great show but if you can't make the live videocast, please (Register) to receive a link to the video replay and get a complimentary link to the complete 2017 Wine Report.